Dan Mancia’s vision started to fade when he was thirteen. Now, he only has a very small amount of peripheral vision in his right eye. But that hasn’t stopped Mancia from pulling off sick skateboarding tricks. 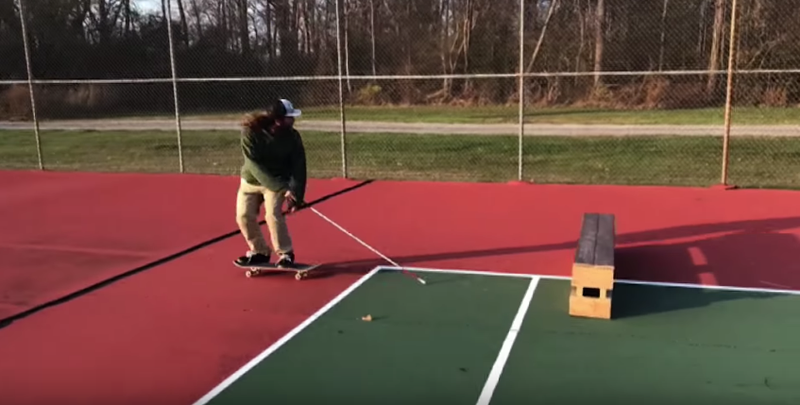 Mancia uses his white cane and a small device tucked away in the box he built that makes a constant beeping noise in order to shred, and it is so damn cool. (Presumably, Mancia listens for the beep in order to locate the grind box or ramp.) Jenkem recently published a pretty fascinating interview with the young, blind man that gives some insight into some of the finer details of what it’s like to be blind. It’s all as impressive as it is inspirational.